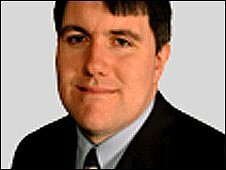 A Stirling Labour councillor has been banned from being elected for at least 18 months by the Standards Commission. Gerard O'Brien, 39, was removed as a councillor for repeatedly breaching the Councillors Code of Conduct. The disqualification is the first in Scotland since the inception of the code in 2003. Mr O'Brien, who was first elected in 2001 and serves the Bannockburn ward, was found to have pressured planners and was "rude" to other officials. The ban means he is disqualified from being a councillor, being nominated for election or being elected. According to the Standard Commission's findings, Mr O'Brien repeatedly sent emails on a range of issues to officials within council departments which were "disrespectful" and "unwarranted". They also found he attempted to influence planners by telling them they would be reported in the press or to the Labour group. In its decision document, the commission said: "The breaches were by their nature, individually and cumulatively, of a serious nature and the respondent [Gerard O'Brien] failed to meet the standards expected under the code over a long period. "Given the number, nature and seriousness of the breaches, that training/mentoring had already been employed and the fact that there did not appear, in the opinion of the Hearing Panel, to be a prospect of the respondent modifying his conduct, especially in his relationships with council employees, the Hearing Panel concluded that disqualification was therefore the appropriate sanction." In response, Mr O'Brien, who is a former deputy provost of Stirling, insisted he had not been given the chance to refute the accusations. He said: "It's an unjust decision which I will take to Stirling Sheriff Court. "It has showed massive disrespect to me and the people of Bannockburn who voted for me." The SNP-controlled council currently has seven SNP members, seven Labour members, four conservatives and three Liberal Democrat members. The Nationalists seized control of the local authority in March last year following a vote of no confidence in the ruling Labour group. A by-election for Mr O'Brien's seat will be held later this year.